Our lives from birth are filled with those around us who influence us, love us, and help raise us. 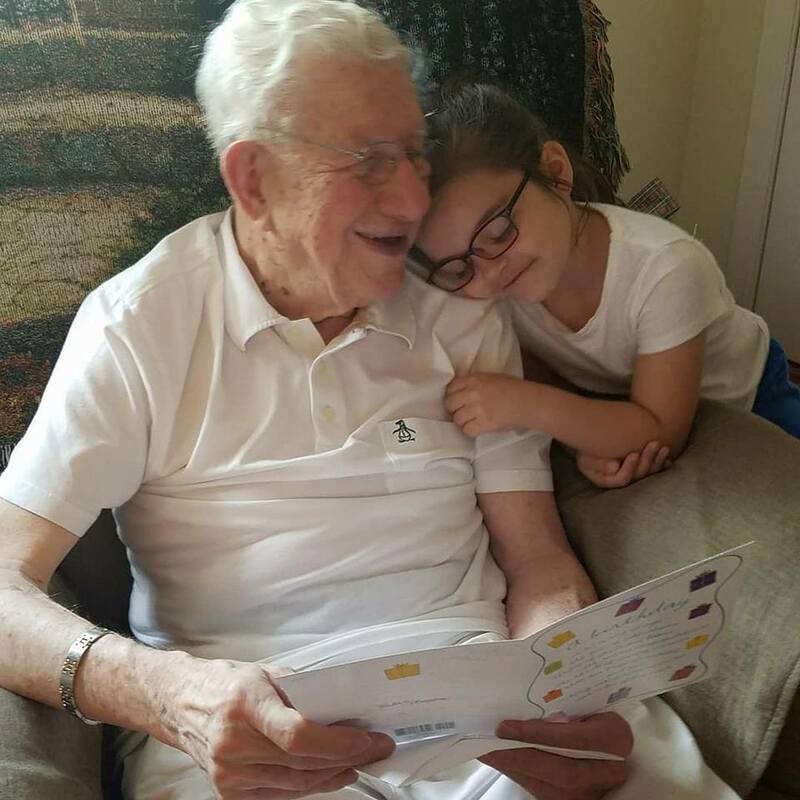 The people who inspire us can be any age and can hold a special place in our hearts. I feel grandparents and great grandparents have very significant roles in children’s lives. It is a love that can be indescribable at times. Children look to their grandparents for not only love, but for wisdom and confidence to be themselves. I was very blessed to of known my grandparents but, I lost them at a young age. I have very fond memories of them and cherish those memories very much. 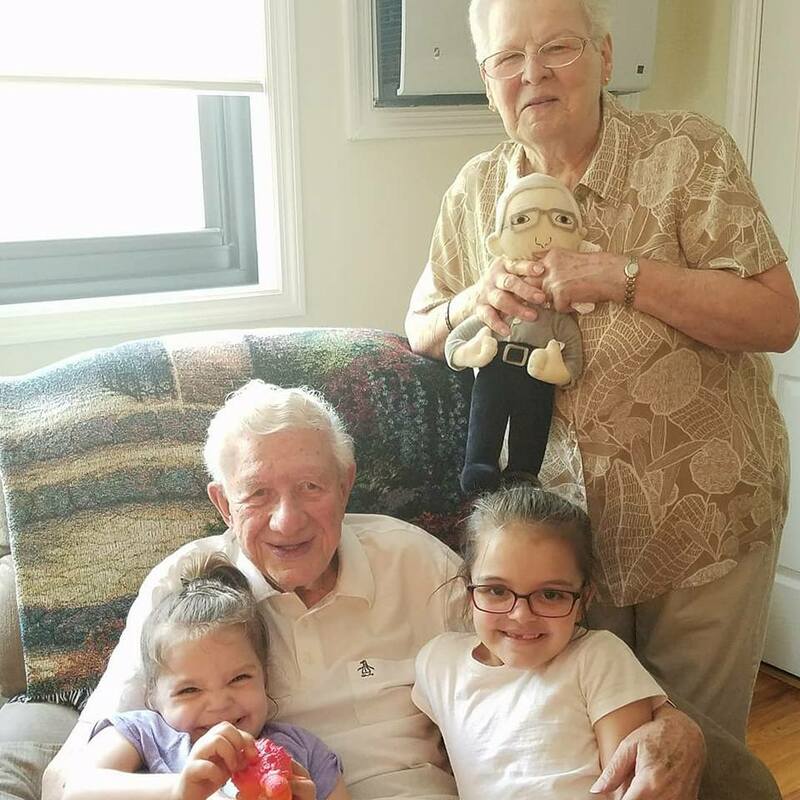 I am sad that my girls have never met my grandparents because they would of loved them but, they are blessed to have two sets of amazing grandparents and two amazing sets of great grandparents on my husband’s side. 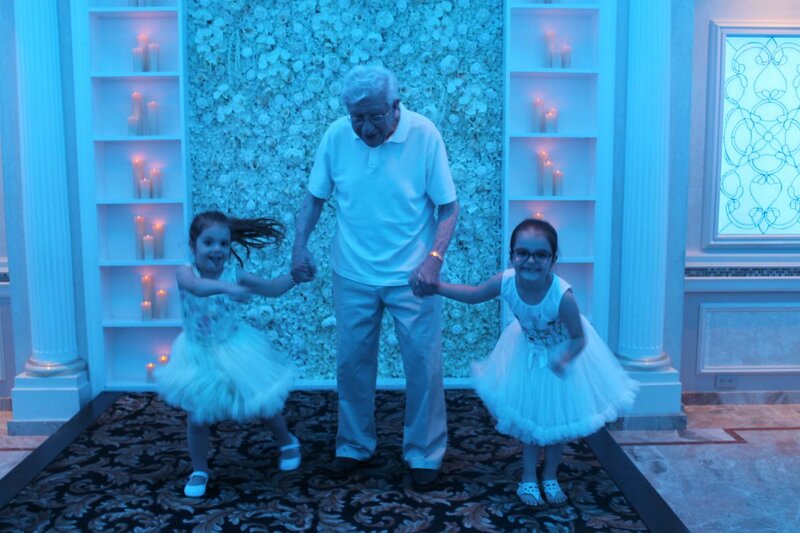 Their grandparents and great grandparents cherish them and the feeling is very mutual. I see their excitement when I mention any of their names and it warms my heart. Everyone teases I take so many pictures and I do this so that our family can look back and enjoy the moments we have spent together. 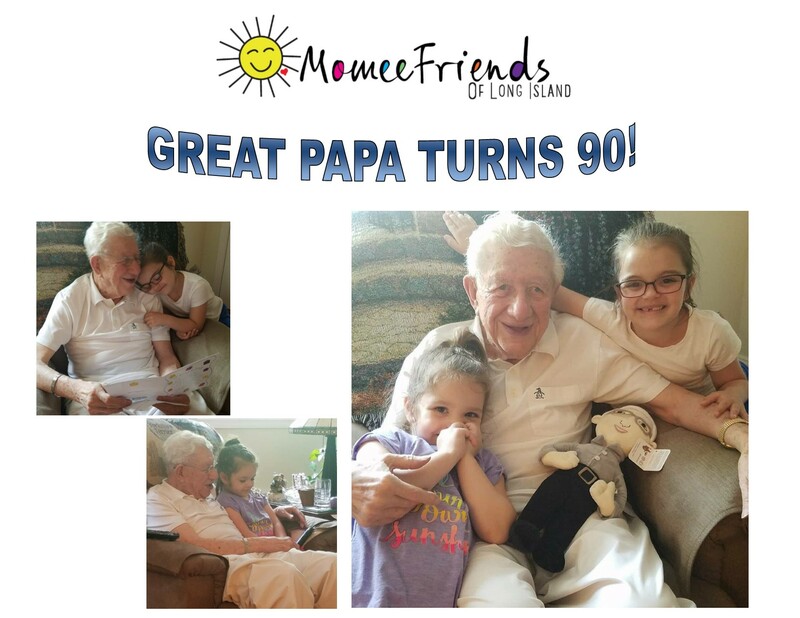 Last month, Great Papa (this is what my girls call my husband’s grandfather) turned 90! 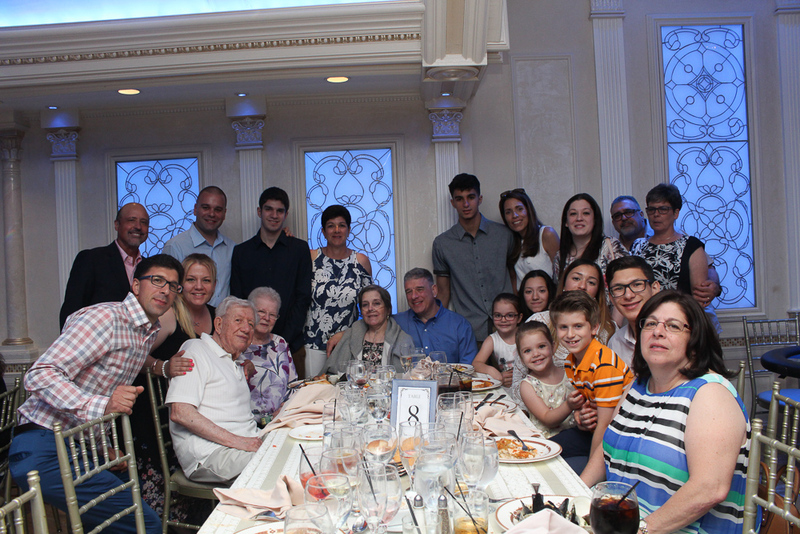 We had a HUGE family celebration to celebrate the patriarch of our family who brings smiles, laughter, song and dance, storytelling and lots of love into our lives. 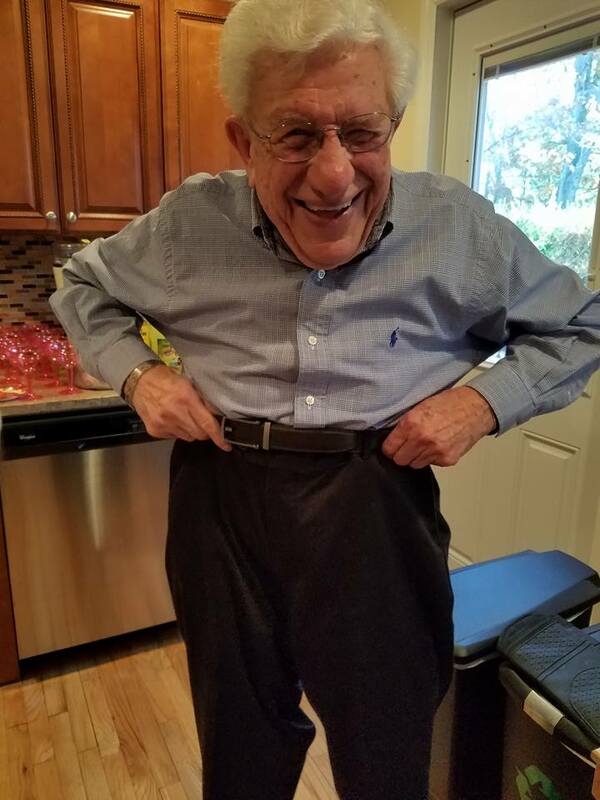 Whenever you are around Great Papa you just feel good, he is full of life and inspires us all to be the best we can be. 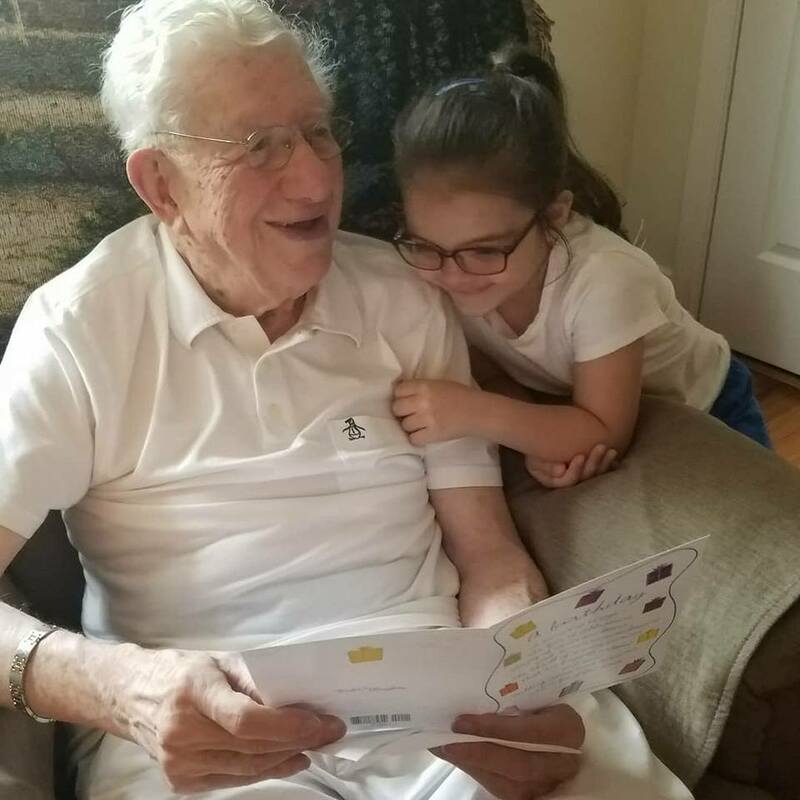 He wants his kids, grandkids and great grandkids to be happy and choose to do what makes them happy in their lives. 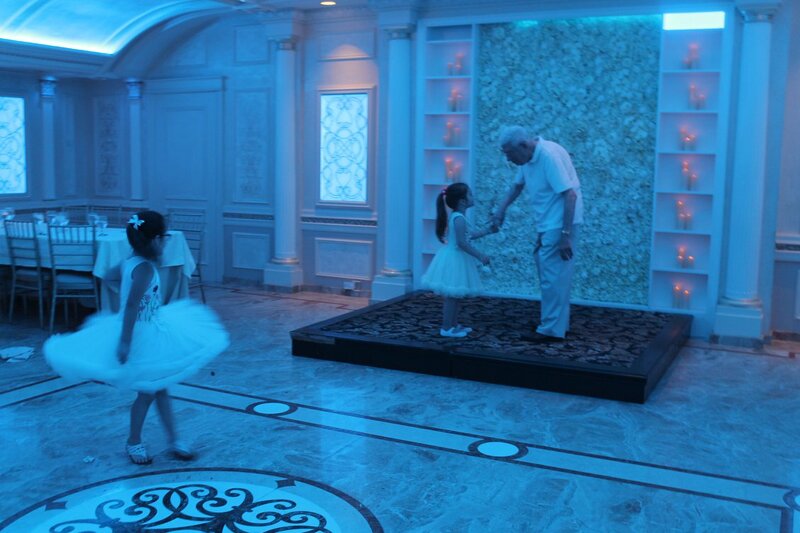 My girls describe their Great Papa as the happiest man you will meet who loves to dance and sing with them. As I said before, I miss my grandparents whole wholeheartedly and through marriage I have gained grandparents that I love so much and I call my own. They give you so much that is priceless each day just by being themselves that when it is their birthday and a HUGE milestone like 90 how do you find a gift that would reflect how much you love them? We have given everything we can put a picture on; mugs, blankets, calendars and greeting cards. (these are great gift ideas and we love receiving them, too) But, what do you give someone who has all they need and doesn’t want anything at all? The girls love Budsies and how our Budsies creation turned out. They thought maybe we can turn a drawing they drew Great Papa into a Budsie. 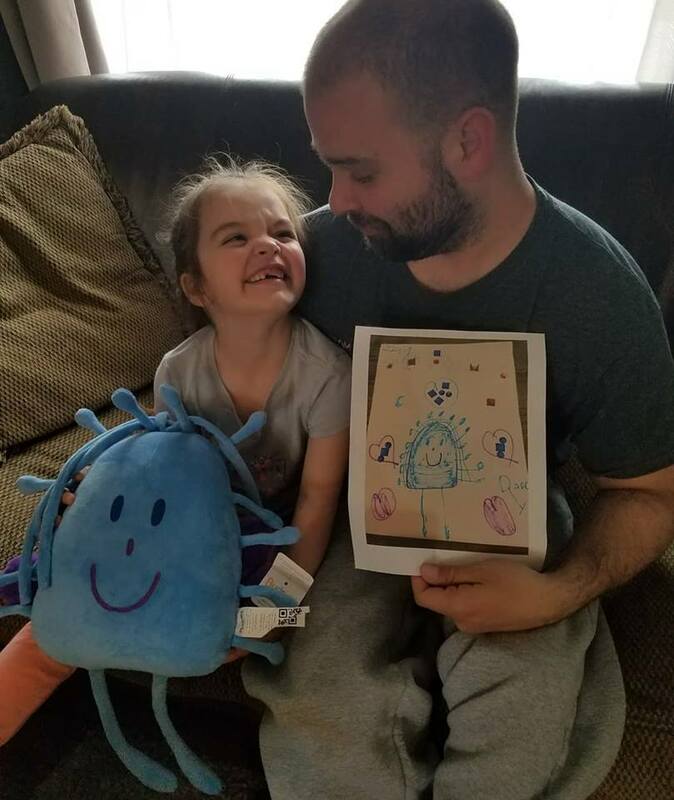 I love how they transformed the details from my daughter’s drawing she drew her daddy 3 years ago into a sentimental gift we can all love. The large smile and bright colors were a perfect match. The plush is so soft and cozy you will love hugging your one-of-a-kind creation over and over, again. 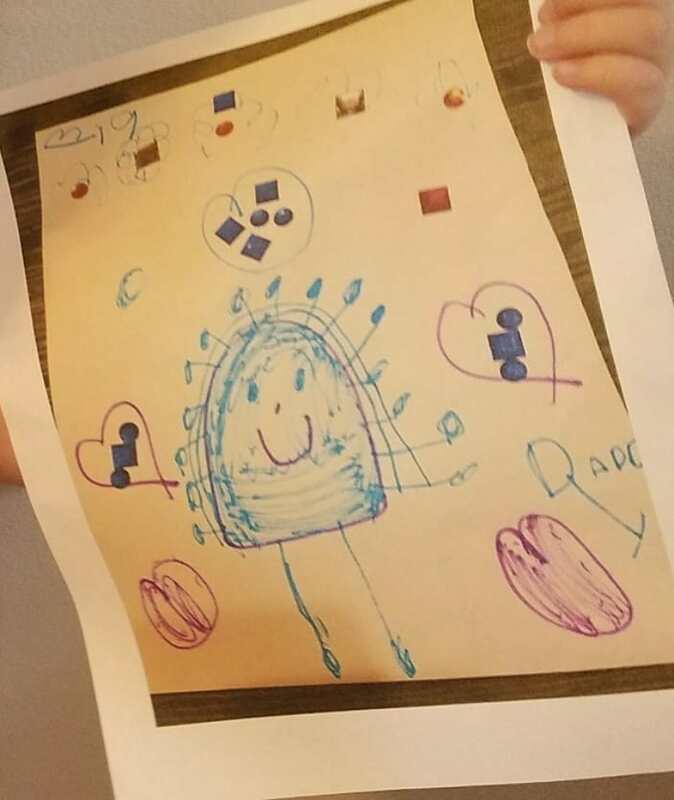 The peacock drawing has always made us smile and it is bringing even bigger smiles now. We hoped that a Great Papa Selfie would bring big smiles, as well! So, we went to the Budsies site and saw that they create Selfies. 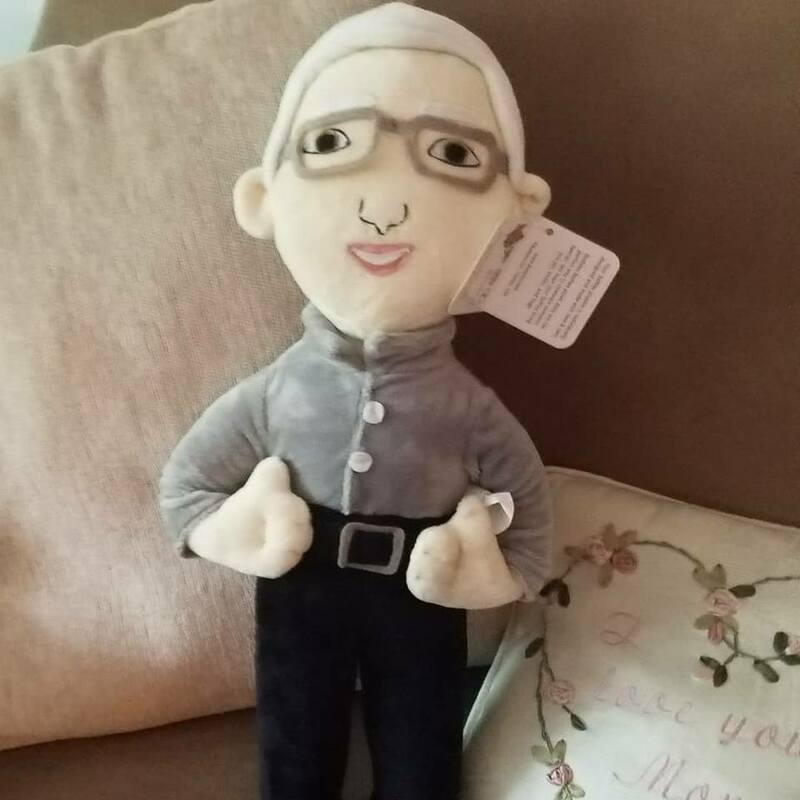 They take pictures of your loved ones and turn them into a plush. We thought Grandpa would make an adorable Selfie so we went for it with the picture shown below. His smile was HUGE (as always) and it was a feel good picture that reflects his personality that we just love. It took about 6 weeks to receive our Selfie. All of these creations are one of a kind and the process takes time. Throughout the 6 weeks we received emails with progress notifications and we even received an email with a sneak peek of our creation (you can choose this option when you order) and you can approve the creation or make a tweak but, you must respond within 72 hours or your creation will be made with no changes. 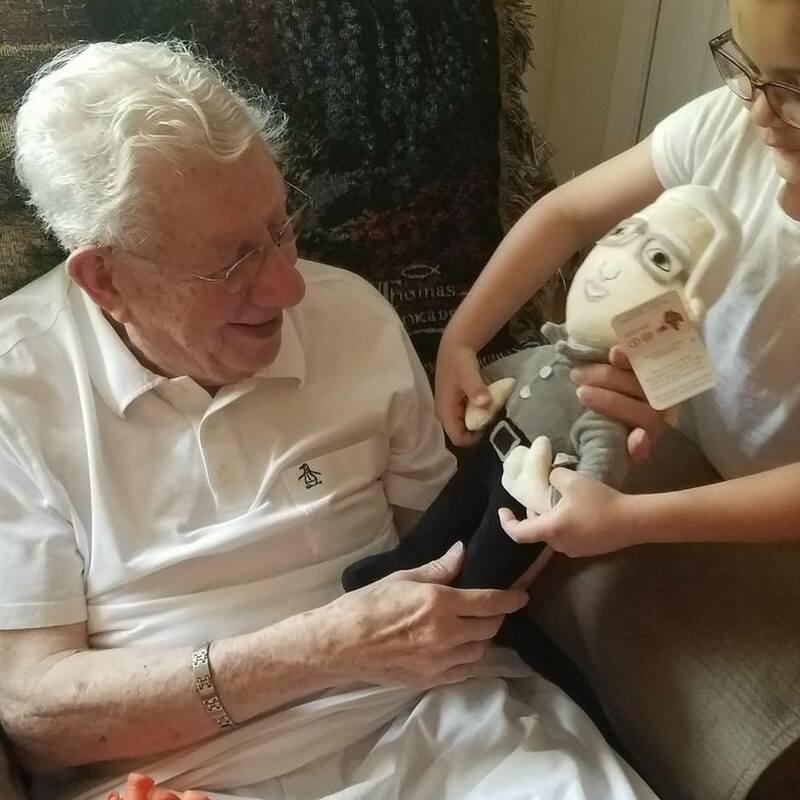 I made a couple of tweaks so the process took a bit longer but, along with the Budsies team we created a Great Papa plush. The girls were so excited to give Great Papa his gift on his birthday. They helped him open it and I captured his reaction with multiple snaps of my camera. 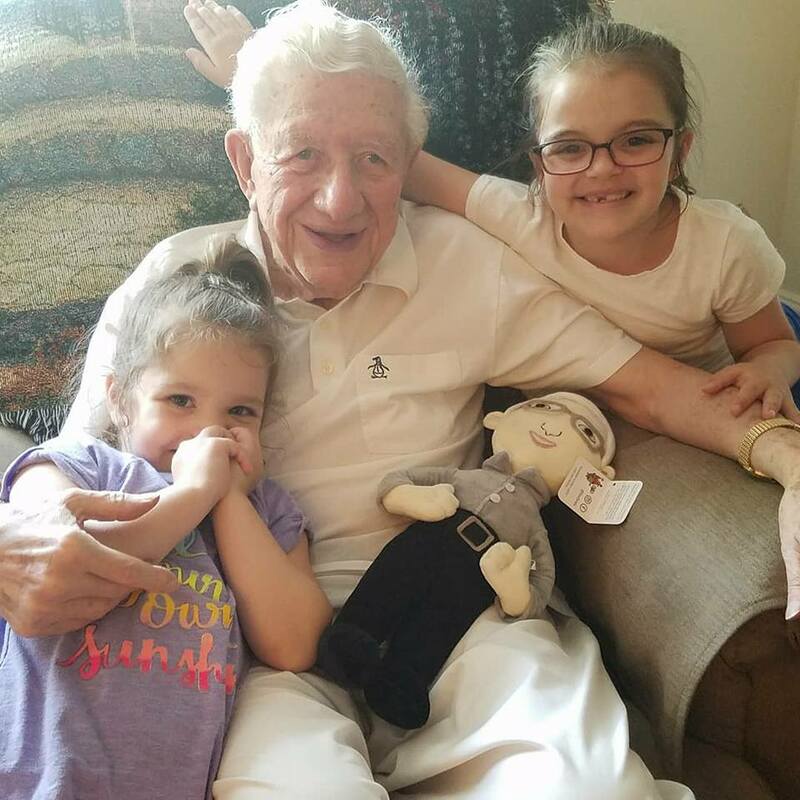 I think you can say he liked it very much and the girls were so happy with the gift that seemed impossible to find for the man who has everything he needs and only wants his loved ones around. 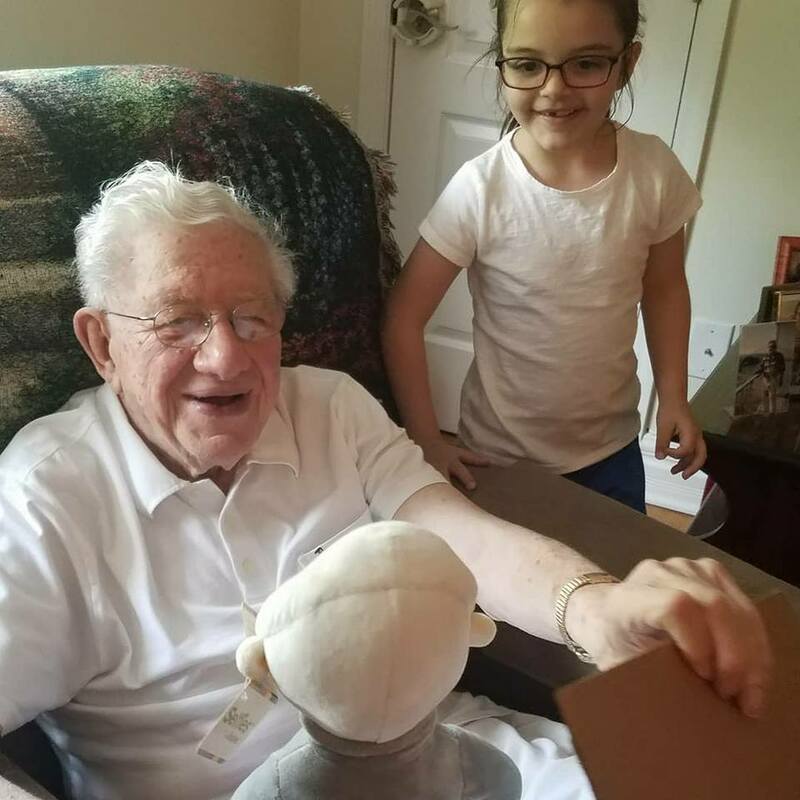 The gift was priceless because of the reaction it received. 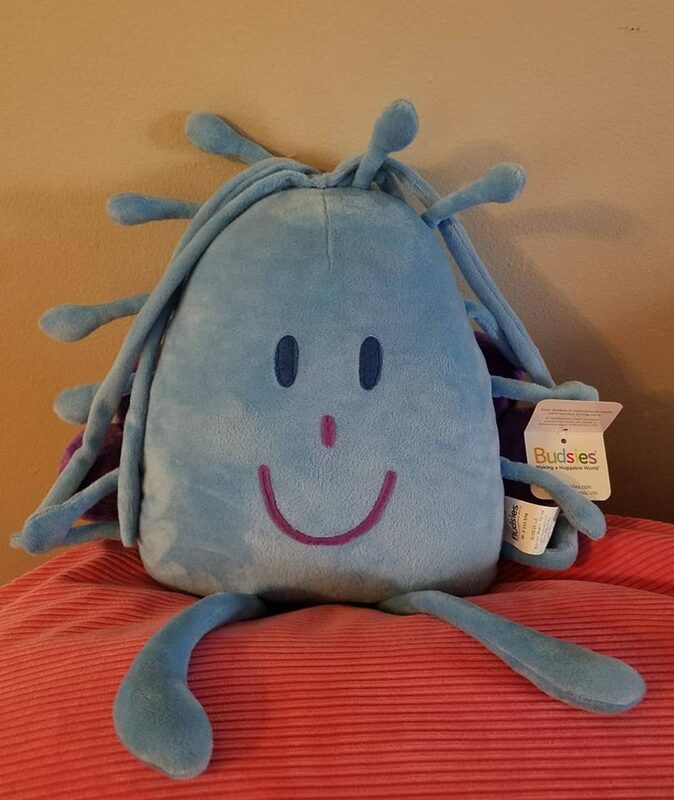 We are so happy that there is a gift idea like Budsies around. 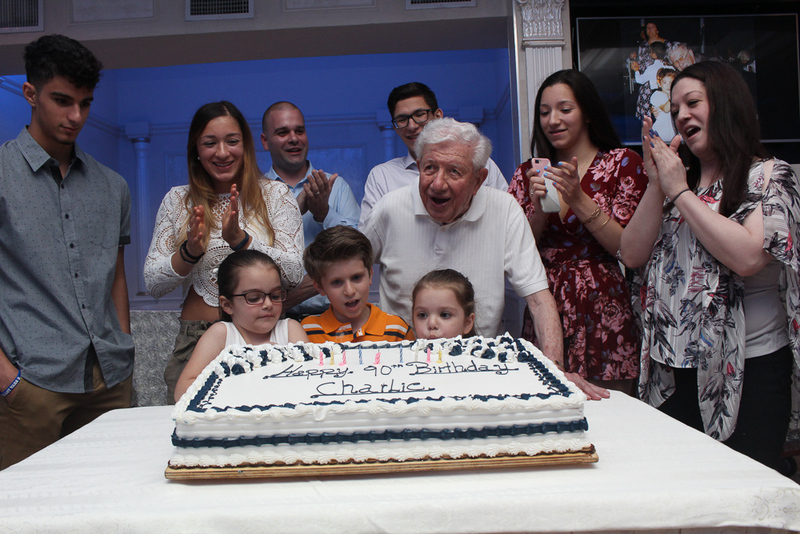 HAPPY 90th GREAT PAPA … WE LOVE YOU SO MUCH!